Manchester United star Paul Pogba has reportedly given his agent Mino Raiola the green light to negotiate him a transfer to Real Madrid. 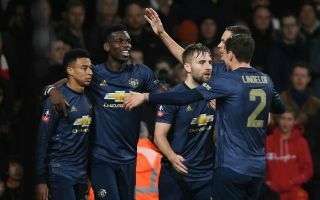 The France international is said to be happier at Old Trafford now than under Jose Mourinho, but Diario Gol state he still wants to test himself at an even bigger club and in a new league. The report adds that Real could be interested in signing Pogba after a long-standing interest, and that the deal would likely cost the Spanish giants around £79million. This is a big blow for Man Utd fans after Pogba’s recent improvement in form under interim manager Ole Gunnar Solskjaer. The Norwegian tactician has managed to harness Pogba’s natural ability into the best form of his Premier League career, so it would be a big shame to now see him leave. Still, Real Madrid are a hard name to turn down and the 25-year-old could shine at a club with so many other big names that more regularly challenges for major trophies than his current employers.